It's easy to forget to give attention to the subtle energy centre in your body governing truth, clear communication and creativity, your Vishuddha Chakra. The throat chakra (meaning disc of energy) is also the internal gateway between mind and body. The narrowest passage within the whole chakra system, the throat is quite literally a bottleneck for the passage of energy from the lower centres of energy to those higher in the body. 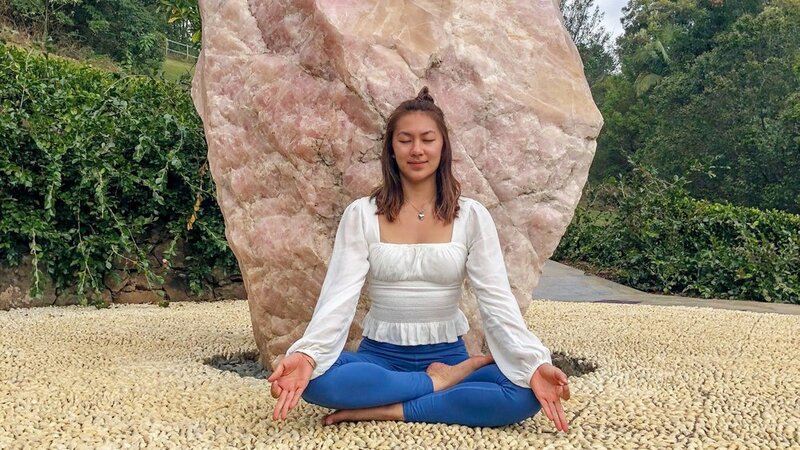 Madeleine has lovingly crafted this by-donation class to incorporate a suite of yogic tools including healing and uplifting chanting, a rejuvenating slow flow practice and pranayama (breath control) all aimed at bringing about a sense of balance to this vital energy within us. Youâ€™ll leave this class with an understanding of what it means to â€œfind your voiceâ€� and with a greater understanding of how our voice impacts both how we feel within ourselves as well as how we relate with others around us. Maddy has chosen for all donations received on the night to go to Dementia Australia, an organisation representing the 436,366 Australians living with dementia and the almost 1.5 million Australians involved in their care.